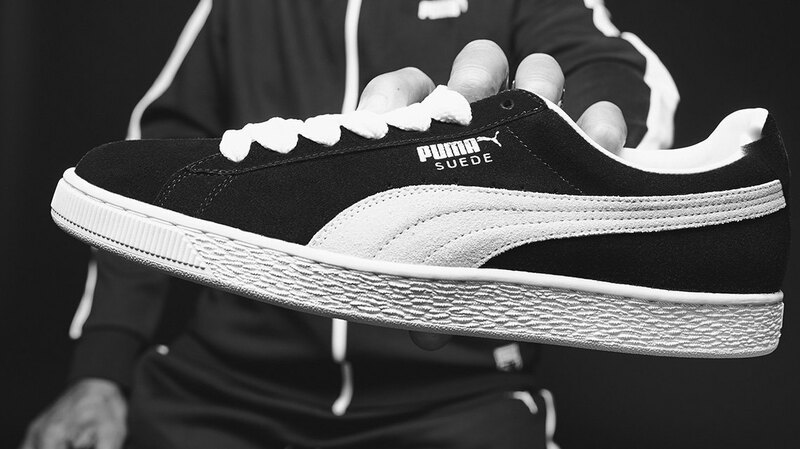 From the courts to the curbs, from the 80’s b-boys to today’s hustlers – PUMA’s iconic and unique Suede has been worn by every generation’s icons ever since it hit the scene in 1968. Its style stayed classic and unwavering making him a street style shoe #foralltime. 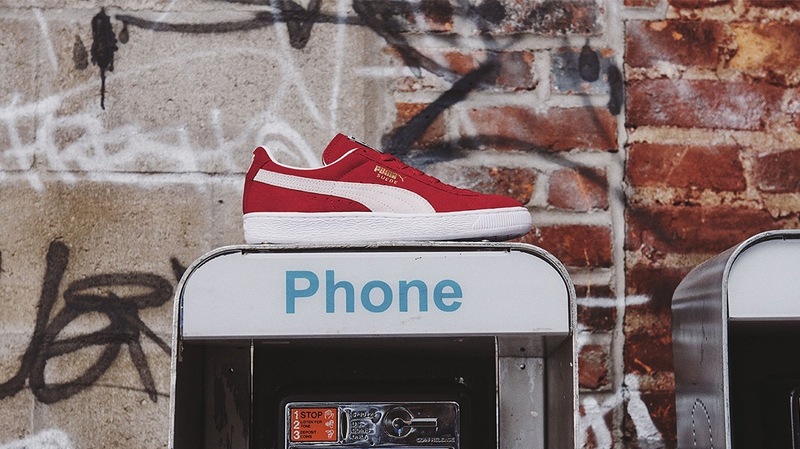 In honor of its 50th anniversary PUMA and the Suede go back to the roots entering the world of sports again! 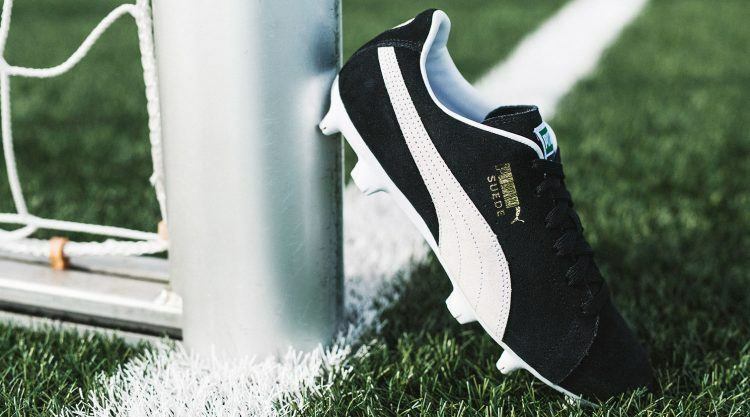 With the FUTURE Suede 50 Pack, PUMA Football brings the classic sport style to the pitch! 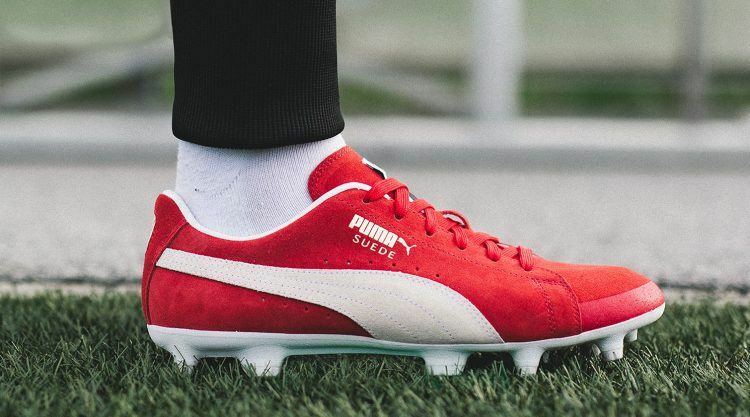 In a limited series of 1350 pairs PUMA Football combines the legendary Suede upper in its most iconic colors, black and red, with the FUTURE FG and TT outsoles making it a real football boot that brings true sneaker heads and football enthusiasts together! To celebrate its 50th anniversary, the Suede collaborates with different partners from the music, lifestyle and cultural scene releasing a series of exclusive Suedes over the course of 2018. 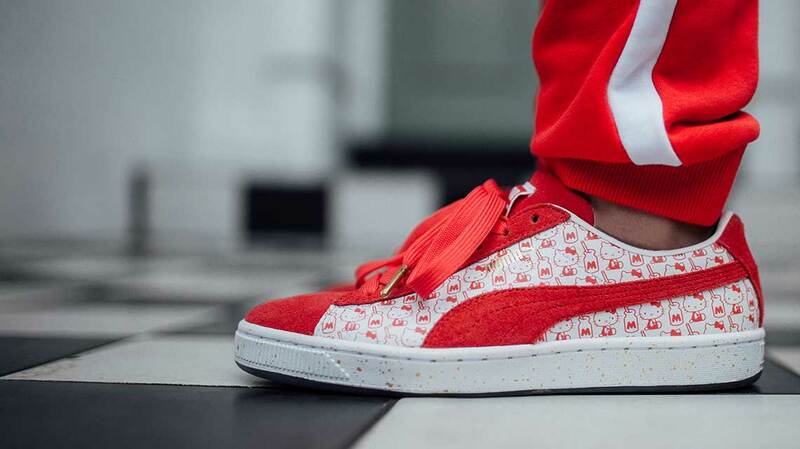 So far, we have seen the Suede’s silhouette funky chic and playful collaborating with Hello Kitty and Big Sean amongst others. 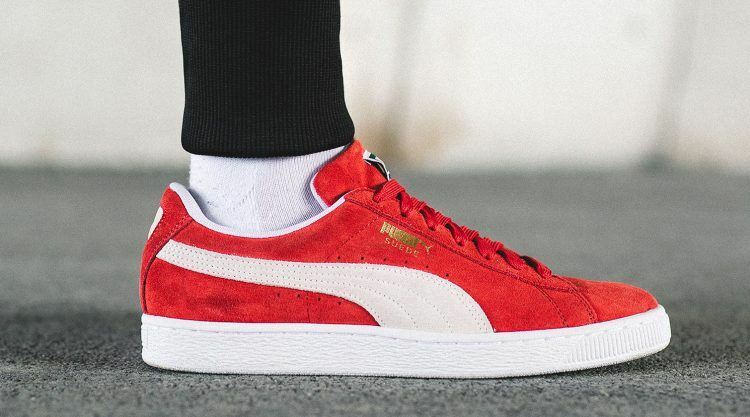 With PUMA football joining the celebrations, the Suede becomes as sporty as it gets! The FUTURE Suede 50 Pack will be available at selected retailers and PUMA.com from April 19th, 2018. 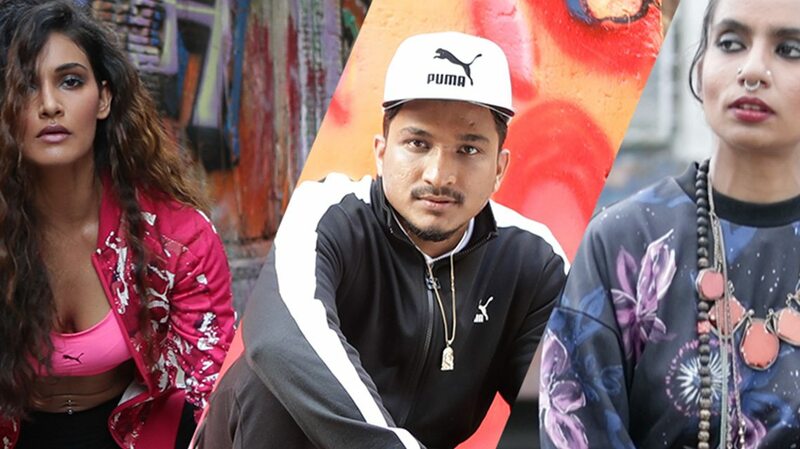 Make sure to be a part of the unique generation that goes back to the roots with the Suede bringing it to the football pitch! 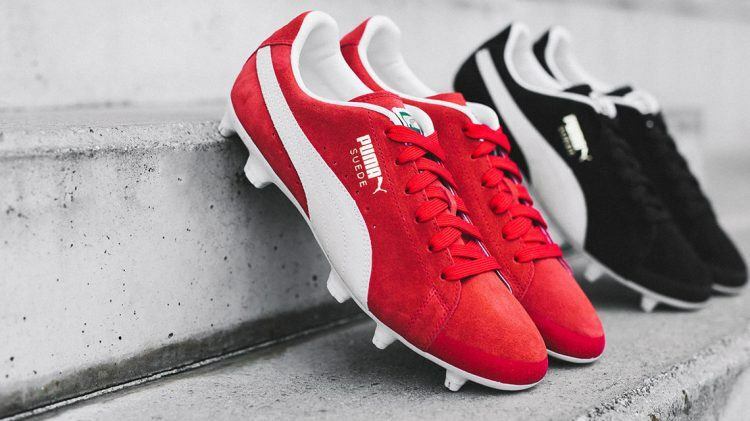 A classic model became a must-have, an iconic symbol and now also an iconic football boot.